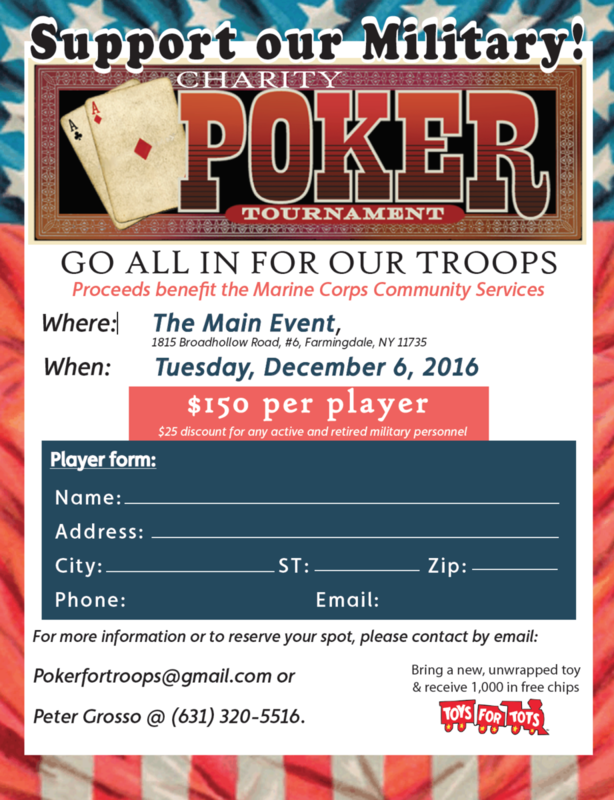 I am a Local Long Island Realtor/Investor I am hosting a charity poker event in the community. 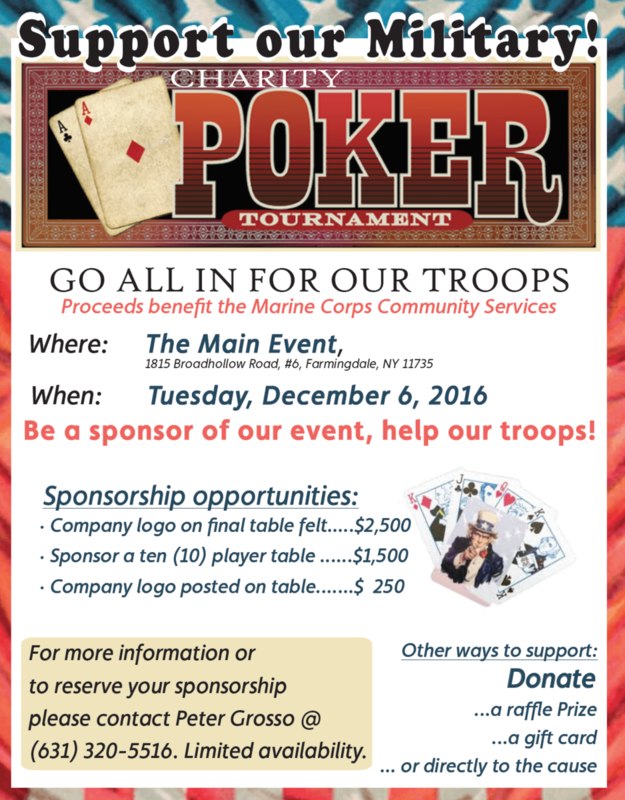 The charity benefits active duty service members and their families. There will be investors, military, Realtors, and regular folks there. We would love players and sponsors from the bigger pokers community. So if you know anyone who wants to do some good and get their business out there ill be on the mic promoting all the sponsors all night. My goal is to get business for every one of my sponsors. Please Im building a player email database to email people with the list of sponsors after the event so they know how to get in contact with them and use people to helped the cause.